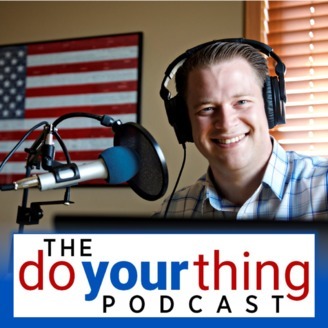 Liberty empowers people just like you and me to "do their thing" in life, and The Do Your Thing Podcast exists to document and share their stories! By exploring the power and virtue of liberty in real life terms, this show seeks to advance liberty in American culture and inspire YOU to do YOUR thing. I'm your host Ross Brown, and I am Living The Pursuit. I'm a blogger, podcaster, and entrepreneur who pursues happiness by documenting and advancing liberty in American culture. If you're ready to capitalize on the opportunities liberty sets before you today, my guests and I will help show you the way! Learn more and find show notes at http://DoYourThingPodcast.com. Thanks for tuning in! 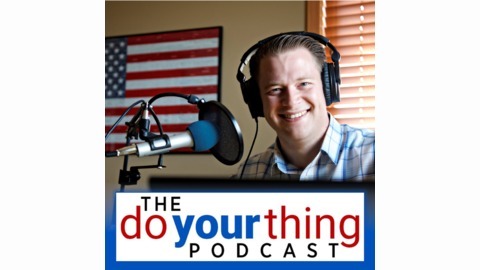 In Episode 47 of The Do Your Thing Podcast, Ross is joined by Christian author Lila Diller of the ‘Love Is’ series to chat about how she’s embracing and exercising liberty to write Christian romance novels – and to explore why religious liberty matters in 21st century America. In this conversation, Lila shares deep perspectives about the importance of her faith as it relates to her daily life – and also provides great wisdom at is relates to the concept of religious liberty. As Lila explains, it is right for individuals of all faiths – or of no faith at all – to enjoy freedom of conscience in their lives. And in this era of ever-expanding government, it’s as important as it’s ever been for We the People to understand and celebrate the concept of religious liberty in our American culture. No matter what your personal beliefs are, you’ll appreciate the viewpoints Lila offers in Episode 47! Find show notes at DoYourThingPodcast.com.